DJ Shadow's new effort The Less You Know, the Better champions caution while navigating the technocorporate matrix. Fifteen years after his debut record, Endtroducing , reformulated the sonic contours of hip-hop and pop, DJ Shadow has returned to let you know that The Less You Know, the Better . It’s a democracy failure Davis saw crushed up close, given his proximity to Silicon Valley, where titans like Apple and Google sprouted from technological culture jammers into the undisputed masters of Wall Street’s universe. Davis helped launch independent label Solesides in the fertile and imaginative San Francisco Bay Area with hip-hop historian Jeff Chang and members of standouts like Blackalicious and Latyrx. Then he quickly broke into the mainstream on the strength of the record-breaking Endtroducing and its stunning 2002 follow-up, The Private Press . Since then, the internet’s meteoric rise has shadowed, so to speak, his own, even as it steadily downsized the music industry’s earnings reports and artist-development efforts. 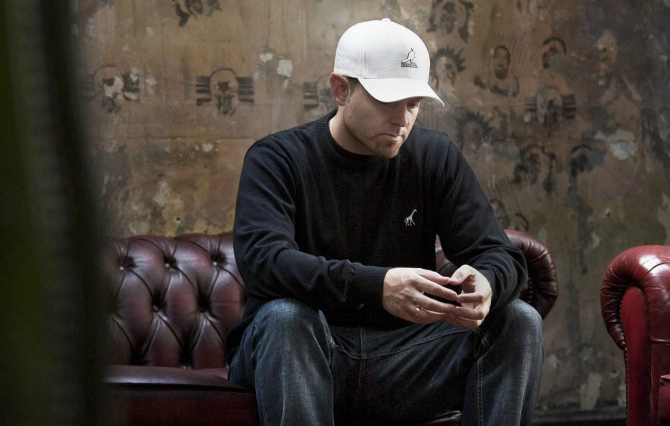 While other hip-hop crossovers have come and gone like so much disposable pop product, DJ Shadow — who kicks off a U.S. leg of his international tour Oct. 21 in his hometown San Francisco — has remained relevant. He’s stronger than ever, judging by The Less You Know, the Better ’s expansive stylistic reach, which outdistances his defiant 2006 release, The Outsider , by miles. It’s also an appeal, given the album’s title and its satirical cover art by San Francisco artist Tony Papesh, which features laptops and smartphones snarkily dismissing their master’s work. “I can happily say that I have lived the dream of getting paid to publicly insult my boss,” Papesh told Wired.com in an e-mail interview readable in the sidebar below.